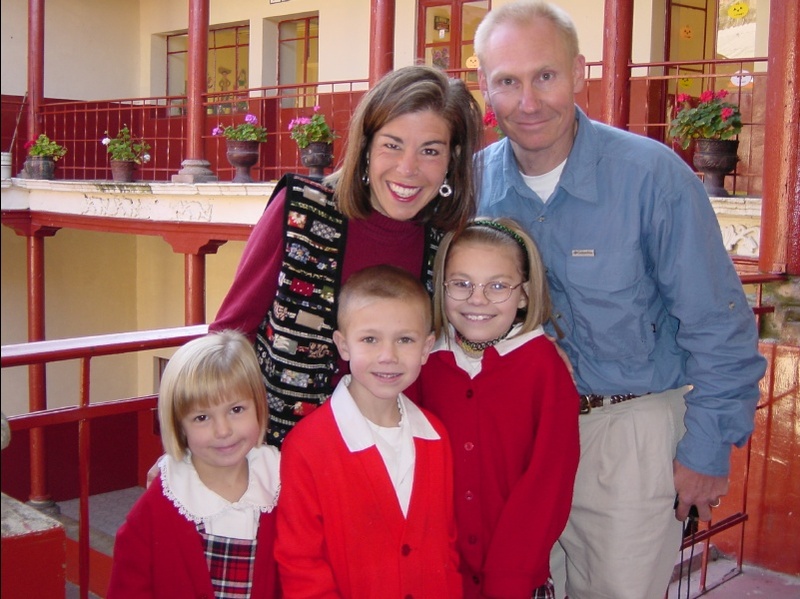 Minnesota teacher Dave Kust and his family traveled to Mexico with the monarchs during the winter of 2001/2002. Visitors are always amazed to discover how cold it is! There is no indoor heat, and the temperatures remain in the 50's F inside the homes, day and night. The Kust family made it through the cold nights thanks to hot water bottles and piles of blankets on their beds. Daughter Katie Kust slept under seven blankets! "I quickly began to understand how important this microclimate was for the butterflies," said Dave. Simply put, the cost of heat is too high because incomes in the area are so low. A good and safe gas heater, one that could heat a big room, costs $2,500 pesos. 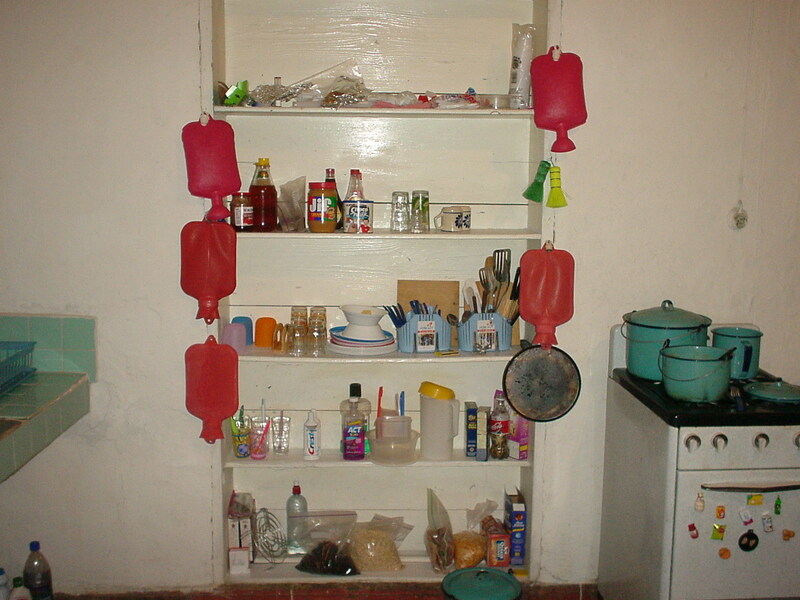 The fuel for the heater would cost 25 pesos per day. What's it like to live in Angangueo? Kay and Dave reflected on the experience. Walking our kids out the front door and being at their school in less than one minute. Walking EVERYWHERE and lots of outdoor living. Giving the kids a few pesos and sending them down the block for bread. Fresh tortillas, fruit, vegetables, bread, and bakery every day just a short walk away. Haircuts for less than two bucks and pineapples for less than one buck. Seeing and chatting with our Angangueo neighbors and friends every day. Fresh squeezed orange juice and coffee on the veranda! Warm sunshine, beautiful countryside and the monarch butterflies!! Watching the Packer games on our neighbor’s satellite dish that our landlord installed. No English spoken here, except by us. Cold mornings and cold nights, and no heat in the house. Boiling water to wash dishes. Hauling our drinking water up the stairs. No washer or dryer. Hanging lots of wet laundry on the clothes line. No banks or ATMs in town, and converting everything to pesos. No refrigerator, and lighting the stove with a match every time you want to cook. No TV, no phone, no Internet! No car, no grocery store, no credit cards, no coffee shop.